Document the problem. Find and extract model elements from the text. Textual Analysis, also known as Content Analysis, is a research method for deriving useful information from a text. 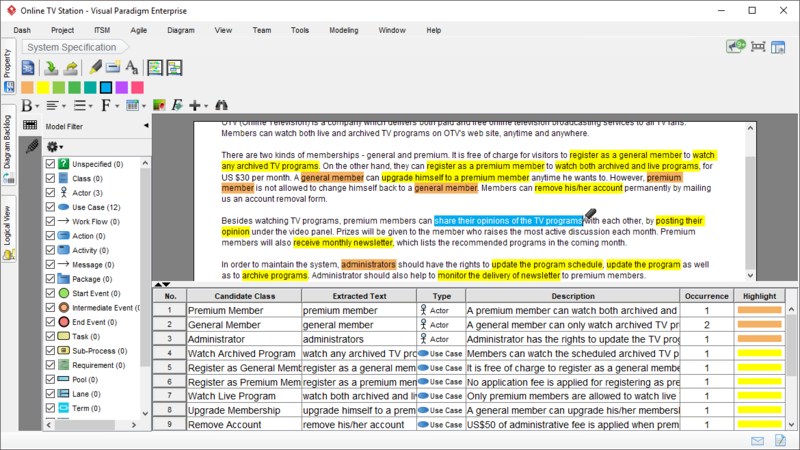 With our powerful Textual Analysis tool, you can document a project, user problem or other textual information in a rich-text document editor, and then extract model elements from the text. 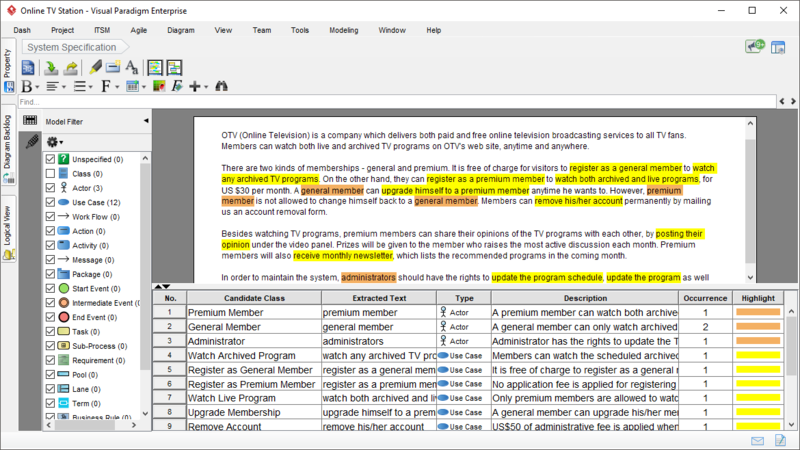 "The Textual Analysis tool is invaluable in helping the student analyst make an initial pass over the problem domain and identify candidates for further modeling." Study the input text to derive modeling artifacts. 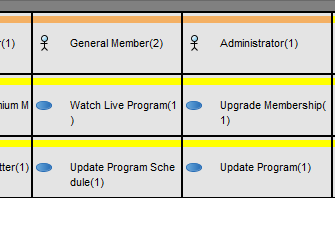 The model elements found can be used in forming other diagrams in your project. For example, identify actors and use cases from a problem statement, and then form a UML Use Case Diagram from those elements found. 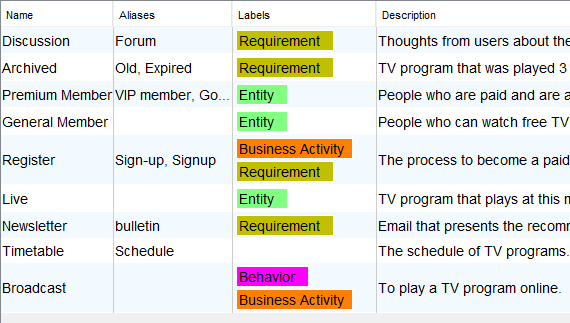 Identify candidate model elements from words and phrases. The selected word/phrase will be organized in the form of a candidate item list. You can optionally transform any of the candidate item into an actual model element. 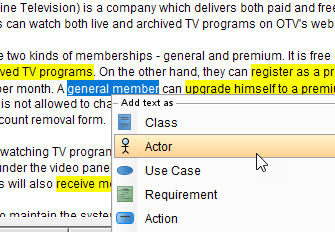 Effectively extract words or phrases as candidate item through the use of highlighter. 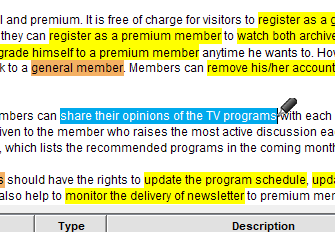 You can apply different colors of highlight for categorization of ideas. 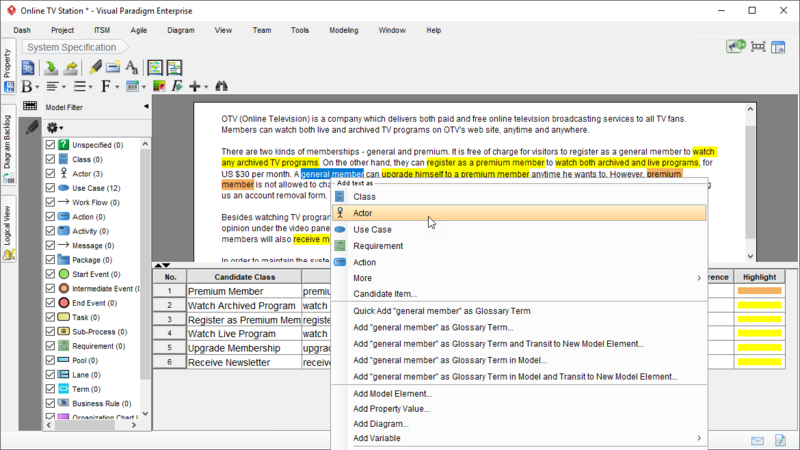 The Textual Analysis tool features a Candidate View that display all the candidate model elements as block shapes. 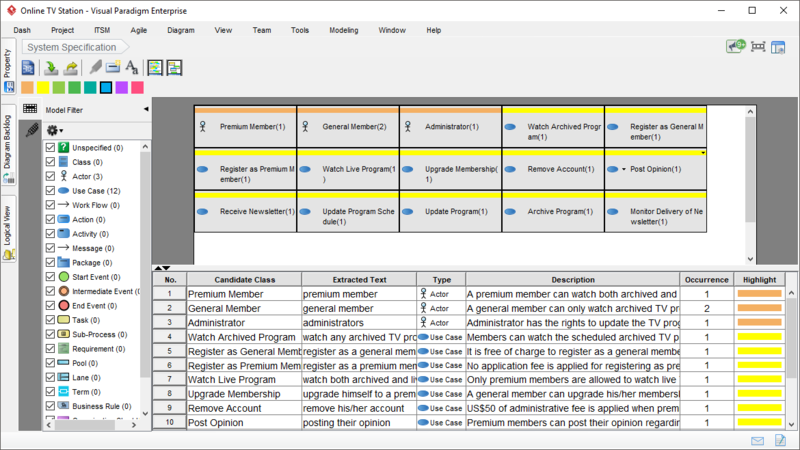 It gives you an overview of candidates and provides an easy means to organize them. Besides mining model elements, you can also identify and extract important concepts from the text in creating a glossary. The extracted text will become terms in the Glossary. You can categories, tag and describe them in further. The Textual Analysis tool is not only a text editor but includes many powerful function that aids the studying of problem. Here is one. 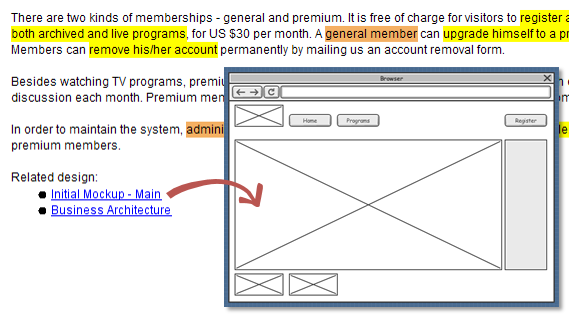 You can easily embed diagram and model element links into your text. Readers can click on the link to jump to the target content directly.